Expo 24 Romania invites you to Entertainment Arena Expo 2014, an international exhibition that will have gathered producers and distributors of casino games, games of chance, bets, video games distributors, casino furnitures, pool, flippers and generally speaking anything related to the entertainment chapter. The event will be held for 3 days, between 2nd to 4th September 2014 at Romexpo Fair Ground in Bucharest. 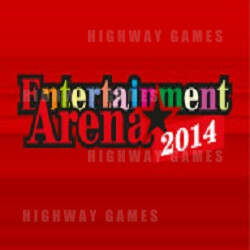 Entertainment Arena Expo is structured in 2 sections depending on its’ themes: Gaming Expo - that includes distributors and producers of gambling games, roulette, jackpots, slot machines, components and accessories, live casino games, bets and Amusement Expo - has as it’s theme the amusement games, pool, flippers, video games, consoles, video simulators, darts. The exhibition is a meeting place between industry experts and visitors. In three days, they can get information about products, technologies and opportunities offered by the Romanian gaming industry. The organizers invite you to take a part in EAE 2014, to don`t miss your chance to get new clients and to find new partners in a growing industry.